The wood consumption in the world is very high because has various functions for human being and we cannot deny that the consumption of wood is including the furniture need for modern living place. The furniture which should be placed in the house has to be chosen with comfort and beauty consideration so the wood material becomes the favorite option but there is no doubt that people should also start to consider about environment aspect when they choose the furniture because this is issue which is getting worse day by day. There are many wood furniture products which are made from the wood taken from original forest and this is very bad moreover with the fact that the demand id increasing time after time. That is why people should choose the ecofriendly wooden furniture which can help the forest regeneration all around the world. The furniture with FSC (Forest Stewardship Council) logo is the assurance that the furniture is made from wood which is ecofriendly. 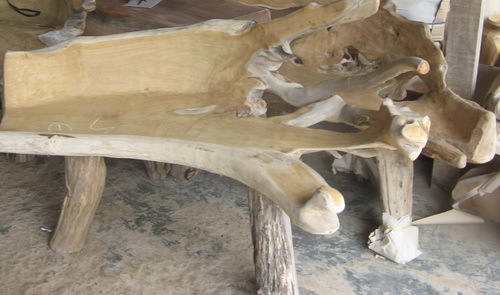 Recycled wood or wood from secondary tree species must be the option which can be used for furniture. Ecofriendly furniture from wood offers long lasting usage with elegant design but just like any other furniture from wood, specific treatment have to be given to the furniture.